Registration is now underway for the 2019-2020 school year. Please call the preschool office for availability. You must register at the preschool office. Forms are not available online. Please make all checks payable to DPC. Credit and debit cards are not accepted. 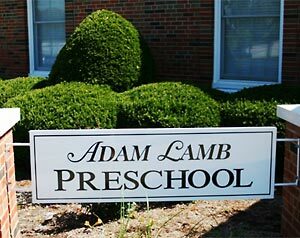 Adam Lamb Preschool offers a Christian based early childhood educational program for children 3 - 5 years of age. We are conveniently located in the Dardenne Presbyterian Church in Dardenne Praire, MO and serve the surrounding areas of New Melle, O'Fallon, St. Charles, St. Peters, and Winghaven. Adam Lamb Preschool has been part of these communities since 1987. Copyright © 2012 Adam Lamb Preschool. All rights reserved.